Specialty Pharmacy Providers: Do the Benefits Outweigh the Burdens? If you mention the words “specialty pharmacy provider” (SPP) to a practice administrator, you will likely hear a lot of grumbling—and for good reason. Because of the relatively high cost of the biologic therapies, SPP are a tool insurance companies have flocked to for minimizing expenses. 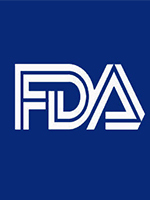 The Individual Patient Expanded Access Application, which is designed to streamline the application procedure for individual patients who apply for expanded access to investigational therapeutics, including expanded access to drugs that are not in clinical trials, was recently updated by the FDA. While testifying before Congress recently, the Centers for Medicare & Medicaid Services Acting Administrator Andrew Slavitt said the agency would consider delaying the implementation of the Medicare Access and CHIP Reauthorization Act to address physician and stakeholder concerns. Benjamin Franklin coined the phrase, “nothing is certain but death and taxes.” Anyone in the healthcare industry would quickly update that phrase to “nothing is certain but death, taxes, and change.” We have not yet recovered from the implementation of International Classification of Diseases, Tenth Revision, Clinical Modification (ICD-10-CM) and the calendar year 2017 changes are almost on our doorstep. The term telehealth is used interchangeably with telemedicine by some organizations. However, telemedicine is typically associated with the delivery of traditional clinical diagnosis and monitoring by using some form of medical technology, whereas telehealth has a much broader definition that comprises education, disease awareness, and wellness, in addition to the use of technology to connect physicians to patients. The Department of Justice filed an antitrust lawsuit to block 2 proposed health insurance plans mergers: Anthem’s acquisition of Cigna Corporation and Aetna’s acquisition of Humana. The suit alleges that the consolidations would reduce the United States’ largest national health insurers from 5 to 3, decrease competition, and raise healthcare costs. The following clinical trials represent a selection of key clinical trials that are currently recruiting patients with juvenile idiopathic arthritis (JIA) for inclusion in investigations of new therapies and new regimens of available therapies for patients with JIA. Each trial description includes the NLM Identifier to be used as a reference with ClinicalTrials.gov. The information below can help rheumatology practice managers and providers direct their eligible patients to one of these trials.